Welcome to the Fishing Guide ESO. 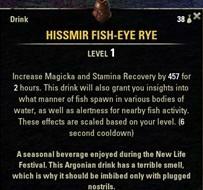 Fishing became quite useful in ESO because of the Perfect Roe drop which allows you to create EXP drinks. You can find fishing holes all over Tamriel. Your chance is increased to catch Rare Fishes when you fish in groups (5% chance for one person, 10% with two people, 15% with three people and 25% with four or more people). Make sure that you take the right bait, otherwise you will never catch fishes! 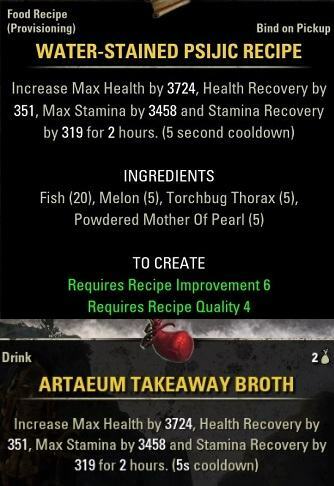 This is a new Unique Dish that has been introduced with the Summerset Chapter. You can only find this on the Artaeum Island where the Psijic Order is. 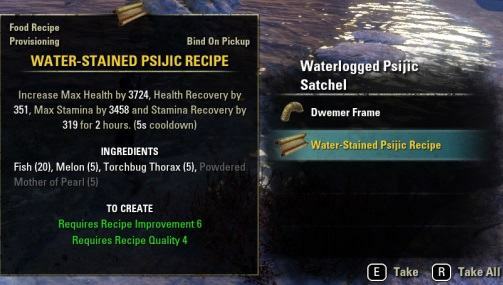 While fishing you sometimes get “Psijic Satchel”, which can contain several things including this recipe. The recipe is account bound. Important: The recipe increases the chance that you get more drops, but not several at the same time. 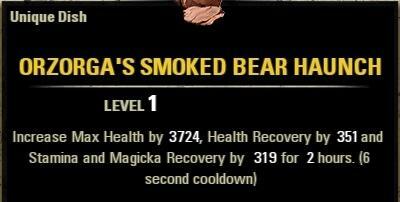 This is a new Stamina Drink that has been introduced with the Summerset Chapter. You can only find this on the Artaeum Island where the Psijic Order is. 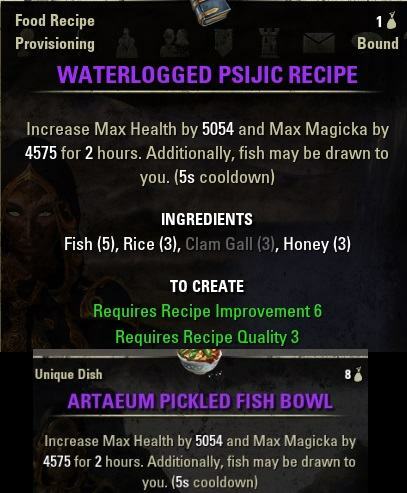 While fishing you sometimes get “Psijic Satchel”, which can contain several things including this recipe. The recipe is account bound. When fishing in the Summerset Zone, you have a small chance of dropping Pyandonean Motif pages! When you fish you have a chance to get “Pyandonean Bottles” where several things, including Pyandonean style material and the Motif pages can be found. If you drink this, you are able to see the fishing holes much clearer and it shows you what type of water it is when you point on it. 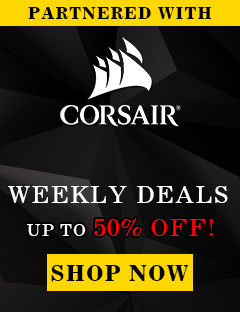 This is very useful if you don’t have any addons. When you filet the fishes (white fishes), you have a chance of getting Perfect Roe which can be used in provisioning to create EXP drinks or sell them for a high price in trading guilds. 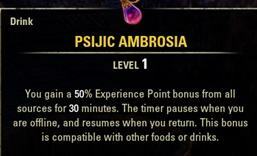 To get Psyijic Ambrosia recipe, you first need to find 7 fragments so you can convert them. 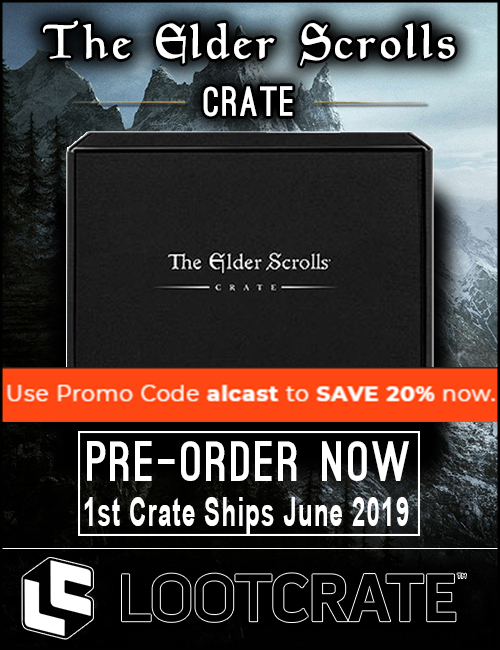 You will get those fragments by doing the provisioning crafting writs. If you have caught all the Rare Fishes (achievements) in all non DLC zones, you get the title Master Angler and you will be able to buy the furnishing Fishing Vessel boat. There are also furnishings (like fishes) you get while fishing, which you can place in your home. Rare Fish Tracker helps you keep track of the rare fish you have caught in your pursuit of fishing achievements. This add-on gives you a handy display window that automatically detects your current zone, the fishing achievement related to that zone, and your progress toward that achievement; and displays this info for you. Fish are listed first by zone, then by rarity (color). You can choose whether the add-on highlights the fish you have caught or the fish you still need, move the window, and adjust its transparency. A keybinding allows you to show and hide the window with a keypress.